The Vesta Network sales and service team is here to answer all your questions about web conferencing and teleconferencing. Contact us for a free trial, a demo or just to find out more about how we can help your organization. If you are an existing client and need support, please free free to give us a call or click here to open a support ticket. 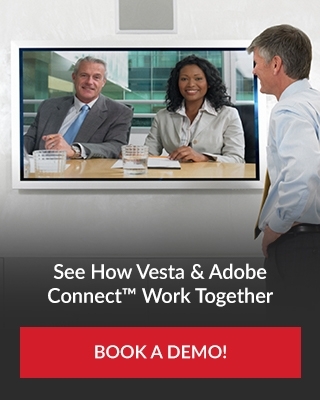 Interested in finding out more about Vesta or starting a Free Trial? Please fill out the form below, and we'll be in touch.